At Vancouver Massage offers a variety of skin care options for you in addition to our massage services. Get your skin both looking and feeling its best. We are proud to use Angelica Skin Care products. Rose cleanser; gentle double exfoliation; blossom clay mask; Soothing facial massage; specially selected serums and elixirs to maximize your skin’s health. Deep, double cleanse; prickly pear enzyme peel; coconut exfoliant; hot stone facial massage; Nourishing Raw honey avocado treatment, and specially selected serums and elixirs to maximize your skin’s health. 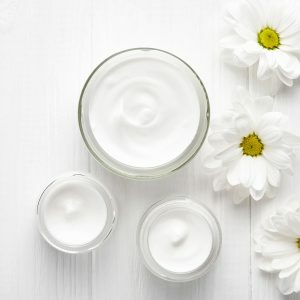 A deep, double cleanse; enzyme peel and manual exfoliant; blossom clay mask; focused hot stone facial massage; a rejuvenating treatment customized to your skin; specially selected serums and elixirs rich in reparative nutrients gently forced deep into the skin with use of galvanic ion wand. Very Deep, double cleanse using Galvanic ion wand; layered, multiple exfoliation; complete, hot stone facial, arm and leg massage; soothing paraffin wax treatment for hands and feet; two full, restorative facial treatments customized to your skin; a deeply relaxing, and a generous infusion of serums and elixirs penetrate deeply with the use of Galvanic ion wand to maximize your skin’s health and luminosity. This lavish two-part treatment focuses on the whole body, promoting circulation, relaxation and detox. 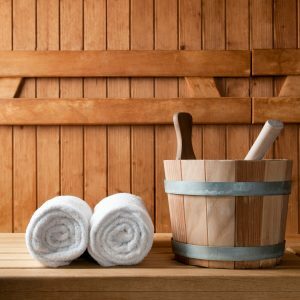 The first hour of this treatment Starts out with 10 min sit in our wood sauna to soothe, relax, and encourage detox; followed with a customized facial from our Esthetician. Deep, double cleanse, layered, multiple exfoliations; detox mask for face hands and feet; soothing paraffin treatment hands and feet; two full, restorative mask treatments customized to your skin; deeply relaxing, and focused hot stone facial massage; Generous infusion of specially chosen serums and elixirs penetrate deeply with the use of Galvanic ion wand to maximize your skin’s health and vitality. The second half of this treatment is thoughtfully carried out by one of our Licensed Massage Therapists, who will perform a signature 60 minute hot stone massage, paired with your custom choice of essential oil to invoke relaxation, steady gentle pressure moves and encourages full body detox; while the heat of the hot stones soothe fatigued and aching muscles.